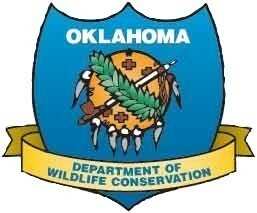 The Oklahoma Wildlife and Prairie Heritage Alliance (OWPHA) was formed to provide enhanced coordination, cooperation and communication to conserve the short and mixed grass prairie's diverse habitat and unique wildlife which is found in Western Oklahoma. The OWPHA distributes information to assist landowners, informs the region's communities and businesses, and serves as a conduit for wildlife and prairie heritage programming opportunities for the area. The OWPHA's main objective is to bridge the gap between programs and projects. 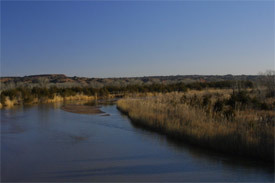 OWPHA covers 30 counties of Western Oklahoma. Lesser Prairie Chickens once darkened the skies over Oklahoma's high plains. But today's remaining flocks are few, fragmented and failing. The problem is habitat loss. As our native grasslands decline, species like the lesser prairie chicken suffer Our vanishing prairie wildlife needs help. That is why farmers and ranchers throughout the high plains region have taken a stand: no more declining wildlife populations on their watch. Working together, these Oklahomans have saved critical habitat through scientific management and a strong conservation ethic. They are your neighbors-who are making a big difference. They are doing their part to conserve our high plains natural heritage before time runs out. 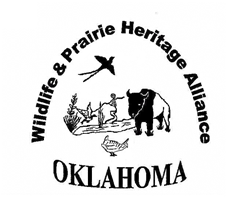 "Where conservation begins at our own grassroots"
Join the Oklahoma Wildlife & Prairie Heritage Alliance and Show Your Support for Wildlife and Heritage Conservation! Membership shall consist of an individual, or person of an organization or agency who wishes to support the OWPHA Annual membership dues are renewable each January and should be paid to OWPHA. Members will be kept informed about activities and receive periodical up-dates on OWPHA projects. Members are welcome to attend and participate in all meetings and functions. Watch the website calendar for upcoming events. Upcoming 2019 OWPHA meeting dates, locations & Watchable Wildlife Events.